The Australian channel enters into mergers and acquisitions (M&A) activity at an average rate of one deal every four days, as partners chase new markets, customers and technologies. Early figures for the start of 2019 - spanning 1 January until 12 February - highlight an industry hurtling towards consolidation at pace, outstripping previous records in the process. Specifically, a total of 12 agreements have been signed over a period of 42 days, equating to activity every 3.5 days or a mere 84 hours. In 2018, more than 30 technology providers were acquired in Australia during 2018, as part of a buying frenzy amounting to over $300 million. Yet early indications show this figure will be comfortably surpassed in 2019. The new year commenced with the merger of PowerNet IT Solutions and Evolve IT, creating a managed services provider with more than 50 years of market experience. As revealed by ARN, Daniel Williams - current CEO of PowerNet - will lead the combined entity, with Nick Moran - current managing director of Evolve IT - heading up key partnerships and alliances. The merged business will create a multi-national MSP targeting small and mid-market customers, housing more than 90 employees across six offices in Australia and New Zealand. 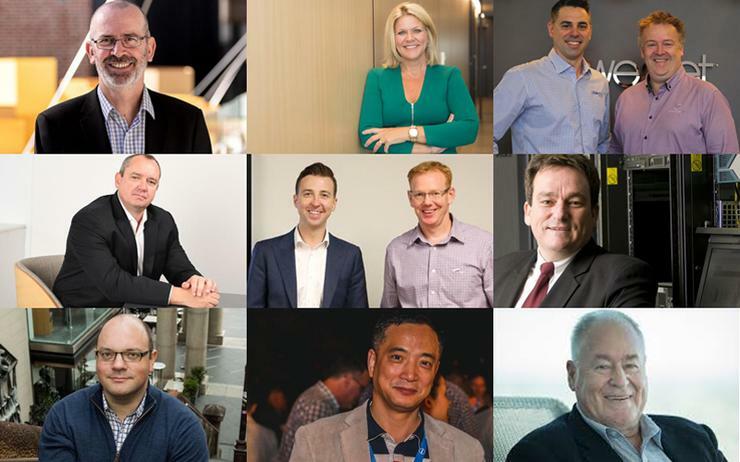 In setting the tone for the rest of 2019, a host of cloud-focused acquisitions soon followed, including Adelaide-based Vintek’s acquisition of Canberra-based Cloud Central, alongside Zettagrid snapping up Perth infrastructure-as-a-service specialists Silverain Technology. Staying within Western Australia, Transaction Solutions International acquired Sydney-based consultancy firm and Amazon Web Services (AWS) partner Cloudten for $8.6 million. Shifting to software, expertise within customer relationship management (CRM) and enterprise resource planning (ERP) accounted for 41 per cent of M&A deals closed so far, with Microsoft, Salesforce and SAP the dominant technology platforms. As part of a wider global buying spree, two Microsoft Dynamics partners were acquired within the space of a week, as Rhipe took control of Dynamics Business IT Solutions and Fusion5 bought Dynamics Group. Salesforce-focused consolidation also featured strongly during the opening weeks of 2019, as PS&C and Simplus acquired ownership of Artisan Consulting and Sqware Peg, respectively. Furthermore, EY joined the M&A party through purchasing specialist SAP consulting and technical services provider Plaut IT, along with its local subsidiary EchoJunction and Malaysian subsidiary, Baseliner. Rounding off a hectic opening six weeks, Harris Technology moved into blockchain through a binding agreement to acquire Lincd HQ, an Australian-based software company, for $2.4 million. Likewise, Internet of Things vendor Buddy Platform entered into an agreement to acquire smart lighting company Lifx, in a deal worth $70 million, while software vendor Turn-Key Systems was bought by Orbis Technologies, a software developer based in the US.